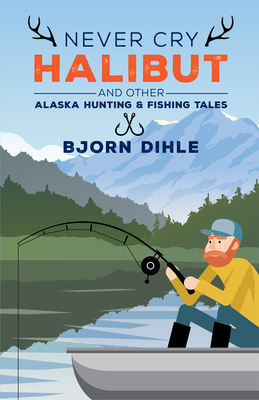 From the sharp, comic voice of Haunted Inside Passage, Never Cry Halibut is a collection of humorous and thoughtful short essays about hunting and fishing in Alaska. Accompanied by photographs, each story reflects the author's three-decade relationship with the wildest places left in North America as he interacts with brown bears, wolves, wilderness, commercial fishing, and the nearly forgotten act of harvesting food from the wild. From hilarious tales of his nieces outfishing him to reflective ruminations on the human connection to nature, Bjorn captures the liveliness that comes from living so close to the Southeast Alaska wilds.